Elements within the Skin Editor can have CSS styles applied to them. For instance, you can create rounded borders for a map element and format text in text boxes. You can either create an external CSS file or edit the HTML document directly. 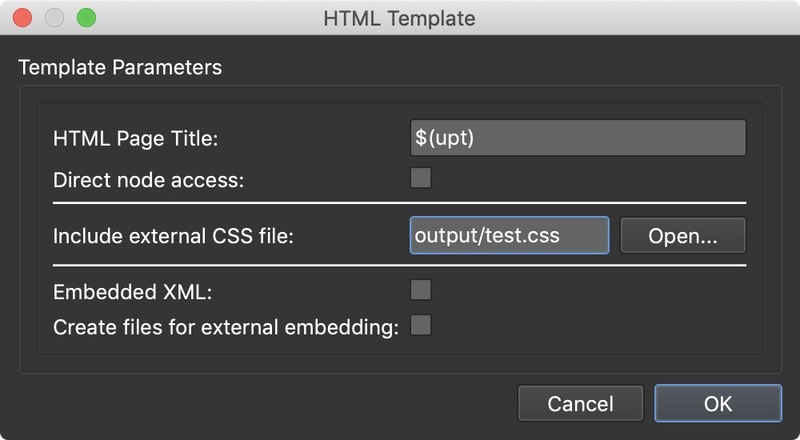 You can easily format text by creating an external CSS document or adding CSS classes directly to the outputted HTML document. CSS styles can be added to override the existing styles. Add a Map element to the canvas. If CSS classes have also been added, then the styles here would override the styles defined in the class. ✭ Styles will not be visible in the Canvas but can be previewed in the Live Preview. In a skin you may wish to have a little more freedom in styling tooltips, labels, popup texts. This freedom can be achieved using CSS. Just the name of the class or style needs to be added. Do not include the period, .. Multiple classes can be added to the fields, separated by spaces. ✭ Classes will not be visible in the Canvas or Preview. You can only view the changes on output. You may also add the CSS directly to the HTML file outputted by Pano2VR. If you are specifying classes for HTML tags, be sure to remove them from the HTML file in order to override them.